WordPress is a CMS, or content management system, that allows you to manage the content of your website independently if necessary. It is flexible, highly customizable, super user-friendly. It is used for blogs, small to medium sized business websites. While it may have started as a blogging platform, WordPress is one of the largest and most widely used CMS platforms today. It’s estimated that nearly 60 percent of websites that use a CMS choose WordPress. By its own estimate, 24 percent of the web operates through WordPress. For this very reason, WordPress is our number one platform. We install a WordPress theme or custom design you require. We install must-have plugins for you. We provide a full range of WordPress themes & template customisation services to suit your design requirements. We help develop unique content for your site and blog to make sure you stay ahead of your competitors. We provide a complete suite of SEO Services to help clients generate leads, acquire customers and list your site with Google, Bing and Yahoo. 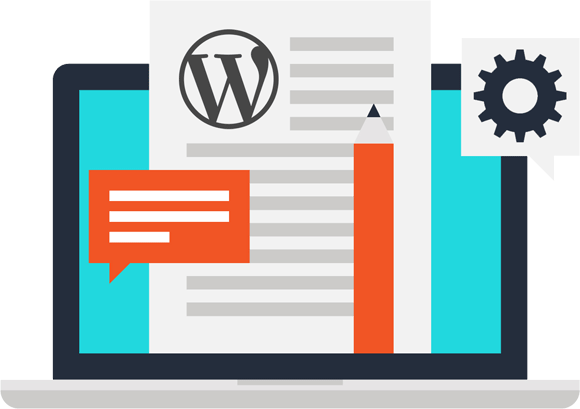 At Vexo Web Design, everything ‘WordPress’ is our strong suit, and we endeavour to offer you WordPress theme customisation services that lets you transform your themes to solutions that are all-inclusive, versatile, and riveting. While tailoring your themes to suit your business sensibilities, we take every measure to keep it responsive and compatible across different platforms. Without falling prey to the mainstream and hardly effective ways of theme customisation, we deliver services that make this customisation a pleasant romp. We help WordPress bloggers and website owners enhance the visibility of their website or blog in Search Engines like Google, Bing or Yahoo. We will securely move your entire WordPress site, emails and databases to your new hosting account on one of our secure servers. There are numerous variants to website design and therefore pricing is something that is too is tailored to your requirements. For further information regarding pricing, please contact us.